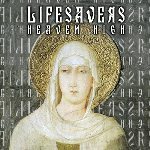 In June 2008, Joshua Lory wrote in to say that a new Lifesavers album was in the demo stage. No definite plans or release dates, but songs were being worked on in Beach Boys / Ramones vibe. At the beginning of 2011, the band started a kickstarter campaign to fund the rest of the album. 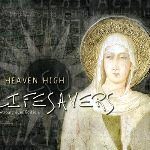 Originally titled Dog Days Of An Indian Summer, the name was changed to Heaven High. The album was recorded and released in 2013. Two mixes were completed of the album. The first one by Masaki Liu was released in cardboard sleeve as the “Kickstarter Edition.” In 2014, the second mix by J. Powell was re-issued as a digipack by Retroactive Records as the “Retroactive Edition,” with modified and expanded artwork.